What’s the most popular white wine in Spain? Chardonnay? NO! Sauvignon Blanc? NO! Reisling? NO! Alabarino? NO! According to Rueda.com, VERDEJO is Spain’s favorite white wine and yet it’s one that most Americans don’t know, may never have tasted, and don’t know how to pronounce. And yes, the folks at Rueda are probably a bit prejudiced because Verdejo is the indigenous grape to that region of Spain. Just in time for summer patio parties, Thursday June 12 is ideal for an introduction to this crisp, food friendly, minerally white wine from Spain because it is the first Verdejo Day. I pride myself on having a little bit of everything in my cellar but I have to admit this while I have Portugal’s popular vinho verde in the house, I will have to find a store that has some Verdejo in order to taste, toast and tweet about it. What do you know Verdejo? 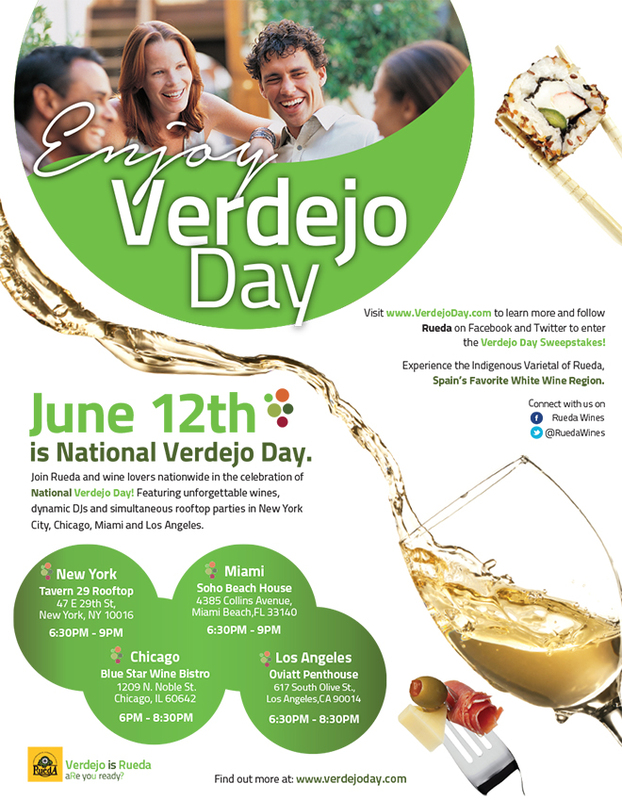 What will you be drinking for #VerdejoDay on Thursday?